This is one sub ... did ya get enough? Long day with clients … looking for a late lunch. A couple of hungry software engineers head out for a quick sandwich. There are sub places everywhere … but Boston style subs at the Yellow Submarine are a cut above. This family run shop is on Irving Street, and mom and son are kicking out the sandwiches. 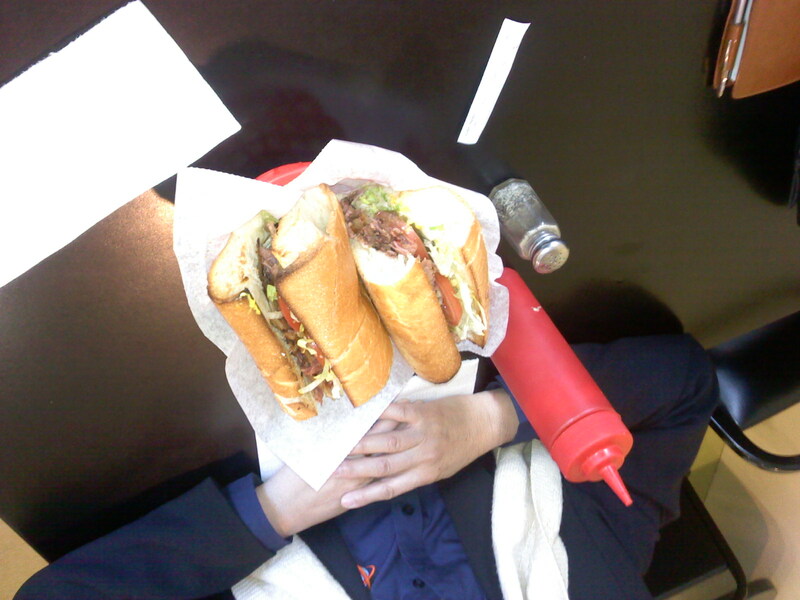 Again, a picture says it all … we got a large hot pastrami for $8.75, and it was waaay plenty for two!